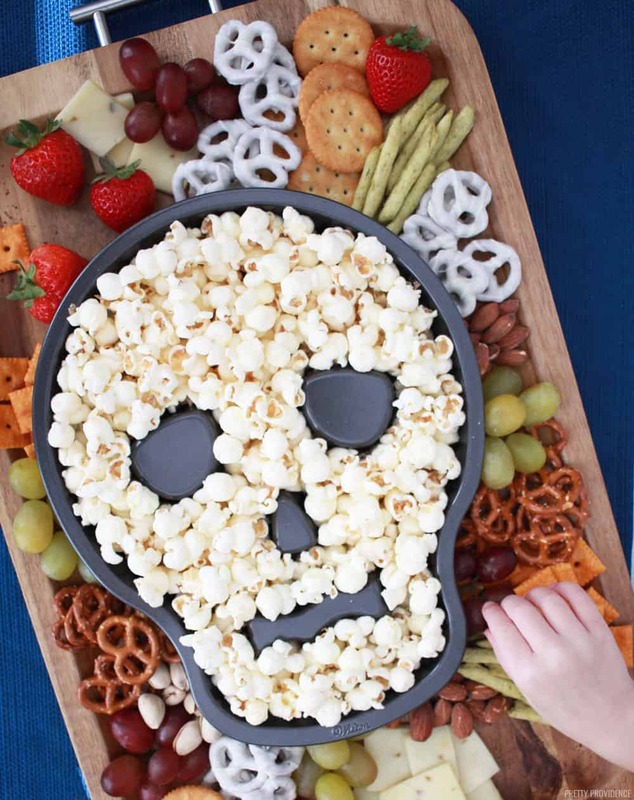 You will love this Halloween Snack Board – it’s perfect for a Halloween party filled with all kinds of sweet and salty treats on it! Halloween is coming up and I am so happy about it! You may have noticed already that I get really into the costumes – I think I get even more into the food! After this weekend, snack boards are my new favorite thing to make. 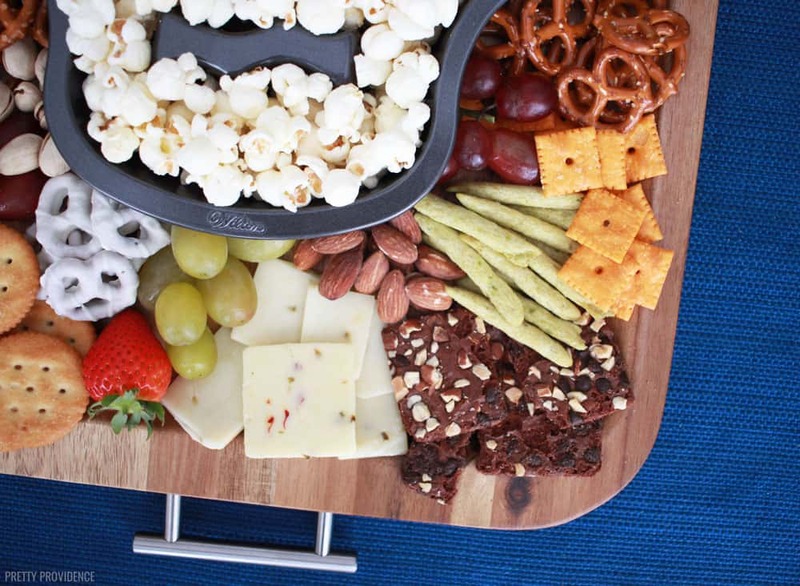 I have always loved a good charcuterie or cheese tray, but this took snack time to another level. Plus, it’s really kid-friendly this way. 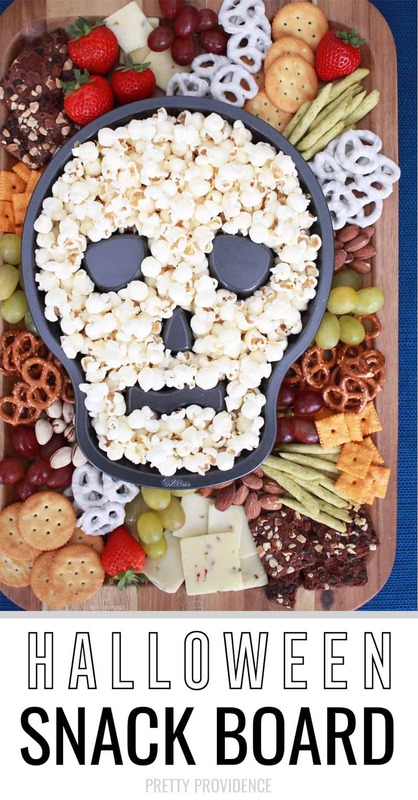 With a skull in the middle this Halloween snack board would be great for a party or for a Hocus Pocus movie night! Oh, and the best part? 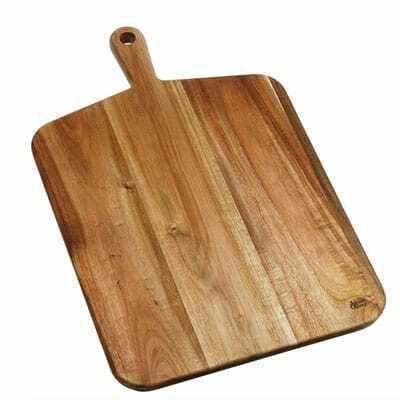 The whole thing can be thrown together in just a few minutes and doesn’t require any fancy decorating skills! 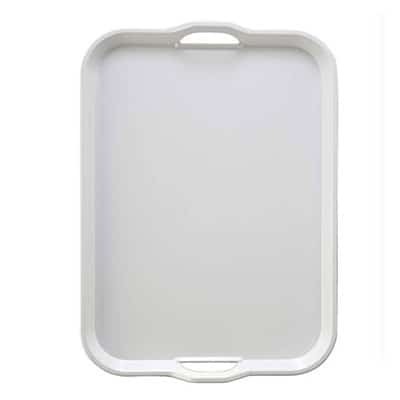 You will need a skull cake pan, large serving tray, and assortment of sweet and salty snacks. 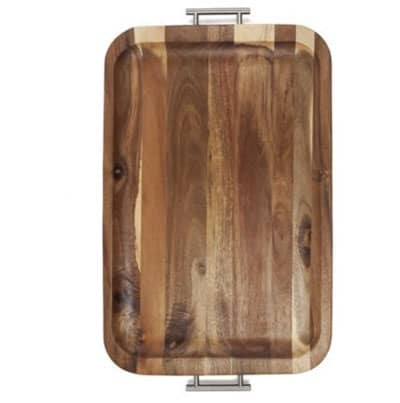 The serving tray I used is from Walmart and it was under $20. I am kind of obsessed with it! Choose a variety of flavors in your snacks, and think about how you can make it colorful! I think if you wanted to make something homemade to go along with this, mummy brownies or monster pretzel hugs would be a perfect addition! I will pretty much use any excuse to buy a whole mess of snack foods. 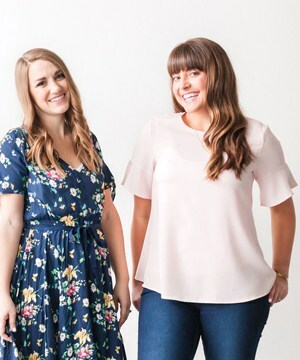 You can also do this for any holiday, party, book club, whatever! It’s so fun and a total crowd-pleaser. This is DEFINITELY super creative and cute! love this for halloween parties! 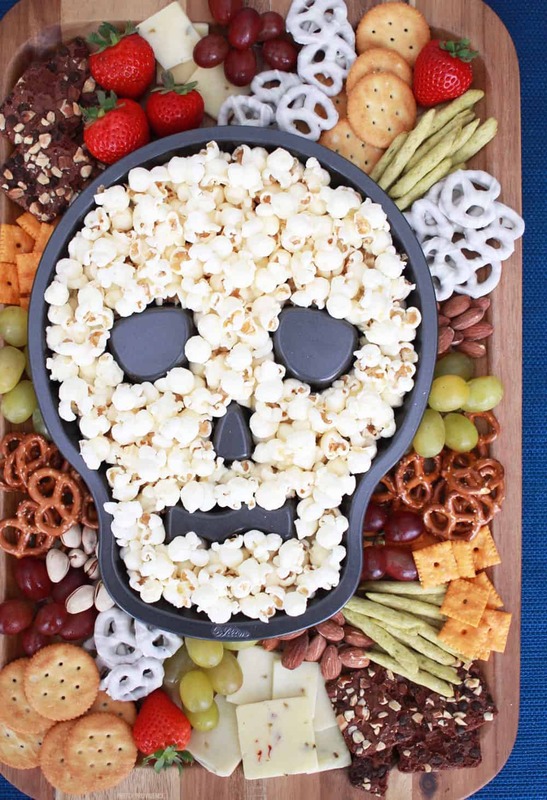 TOTALLY pinning this Halloween snack board. It is such a fun, festive idea! What a super easy and fun halloween idea — my kids will love it!!! Yay! I’m sure they will, my kids went crazy for it! Thank you! Right!? I am obsessed! 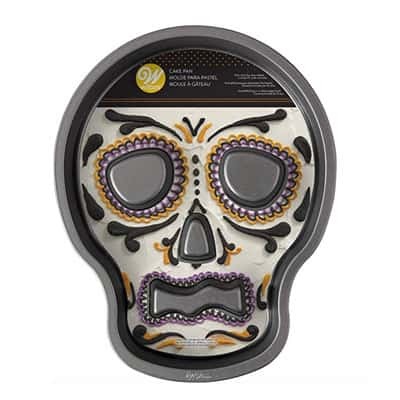 Love the skull cake pan!